The Official Lego Shop Online really wants you to spend your Lego money with them in October- and they are offerring amazing incentives if you do! As we reported earlier, the Online Shop is offerring Double VIP points for the rest of the month and now they have even thrown in free shipping as well as a free Christmas set for orders over $99. 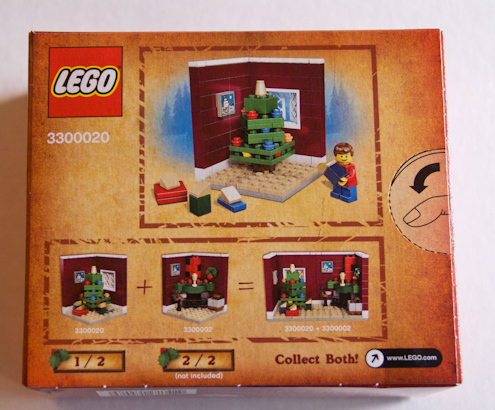 The cute little vignette comes boxed with your order and I must say it is one of the best free sets Lego has offerred so far. While I like the mini-builds that they have been given away with other orders this particular one really makes ordering through the Lego shop worthwhile. With 98 pieces including a minifigure the set is actually one section of a two part set but also stands on it’s own. 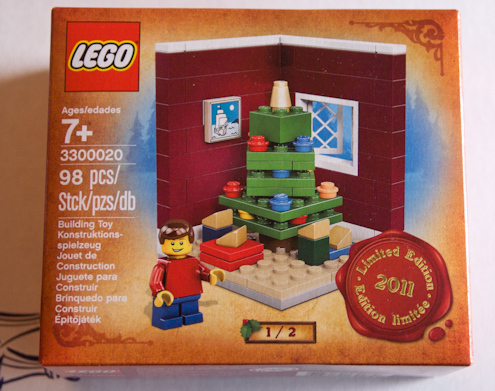 A forum member (peanut) over at Smashing Bricks has provided images of the box (see gallery below)-so this is a legitimate limited edition set and not one that just comes in a bag. The other half of the set (see images in the gallery) will be on offer during November, on Lego’s so-called “Brick Friday” weekend. No doubt that is their version of “Black Friday”, the day after Thanksgiving on which retailers frequently offer their biggest discounts for the year. So which sets could tempt you at the Lego Store during October? Here are some sets that have been very popular this year. There is also the rather quirky interactive game Life Of George that is played with Lego and an ipod touch/iphone- creative, cool and very addictive – perfect for tweens. 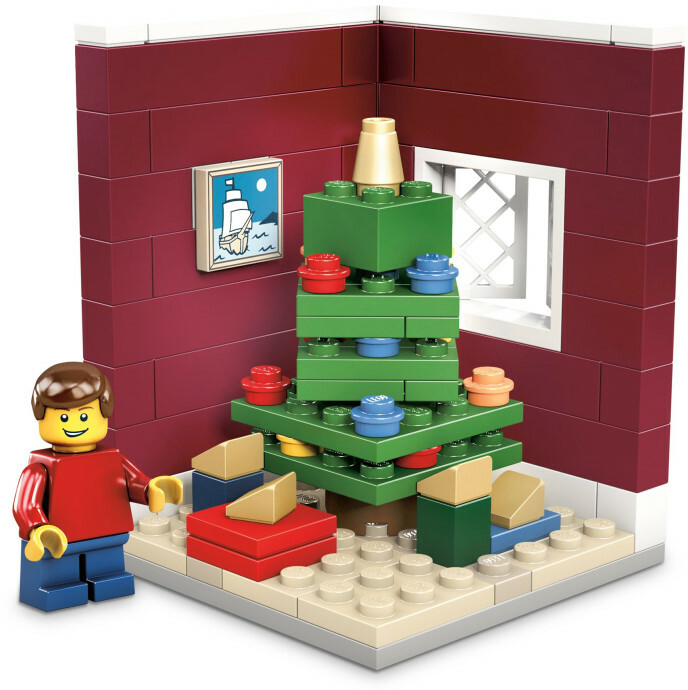 Or you can just check out the site’s Latest Bestsellers or the Lego Holiday Gift shop to find “Things you never thought you would buy but when you see them you just know they are right for someone you know” (I’m sure there is an acronym for that! ).